First, I need to ask this question: what is it with ladies and celebrity obsession? This is getting out of hand. 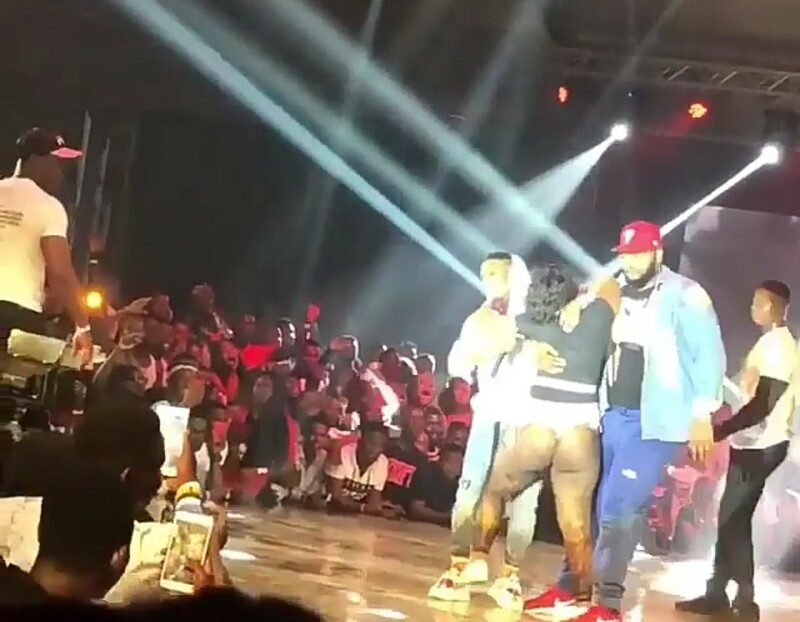 The other time huge crowd left their work (that is if they have work) and went to airport to welcome Big Brother Nigeria BBNaija winner, Miracle and others, causing a lot of stampede that day. What is wrong with you guys? And this again? 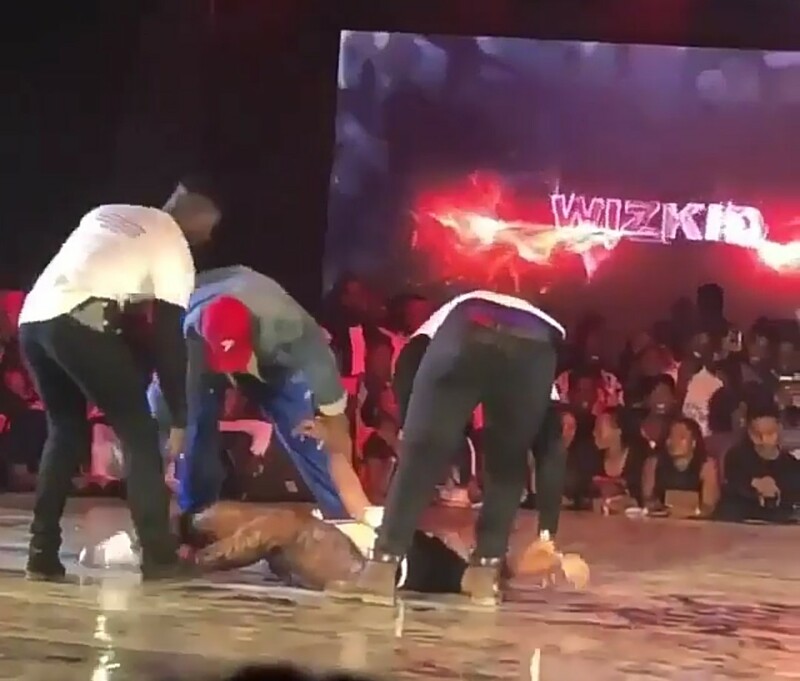 Well, there was a drama at #GhanaMeetsNaija show yesterday as a Ghanaian lady fainted after hugging the Nigerian RnB singer "wizkid". 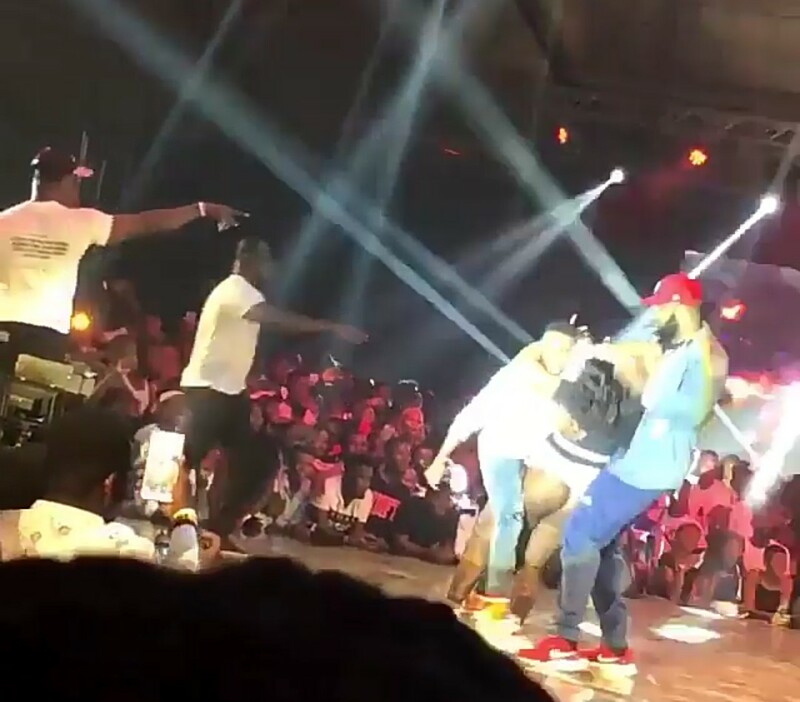 The Lady was later carried away from stage by bouncers and the manner they took her out of the stage was like......mehhhnnnn. Nobody said is not good to appreciate this guys cuz of their wonderful talents but obsessing about them is another thing. 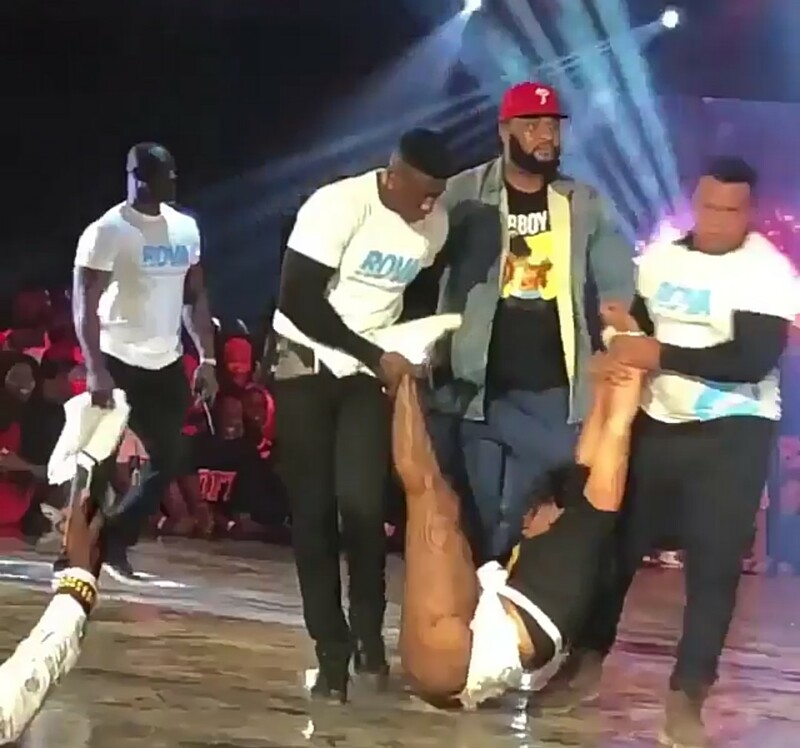 See how they carry this one off stage like bag of garri.